Just when you thought 50 Cent had thrown the worst first pitch in the history of baseball, a new challenger has emerged: Miss Texas Monique Evans. 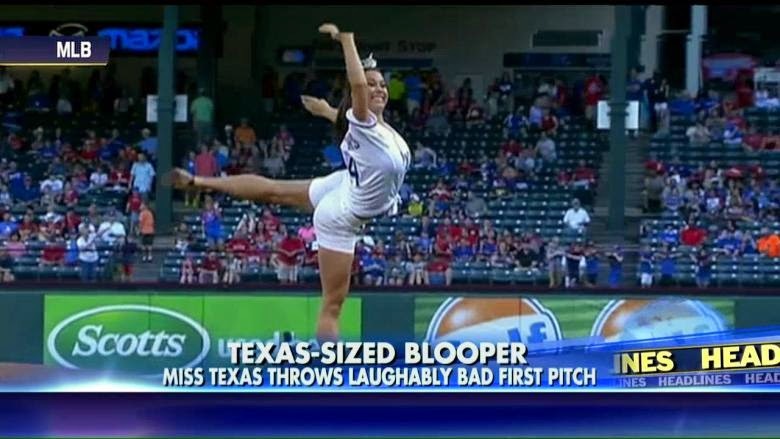 The beauty queen’s ugly attempt was more of a gutter ball than a first pitch at the Angels-Rangers game on Friday. Still, she gets extra points for her … graceful form.